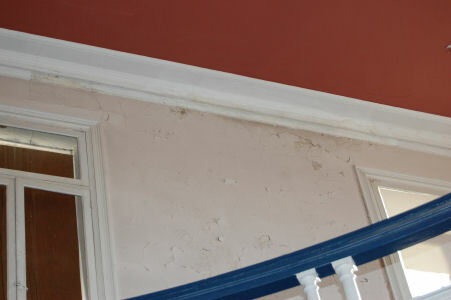 Chas Stuart has put together a series of photos showing the restoration work being undertaken. The photoshow can be viewed here. We have now reached £100,000 for the Meeting House appeal. Thank you! This month the Bursar has met twice with the architects and a plan has now been drawn up for the way forward. Work on the roof is now going out to tender and we have a quote for replacement of the windows and redecoration. The work still needed is replacement and repair of stonework, upgrading of audio visual provision and internal fixtures and fittings. We are holding a concert to raise funds and asking for donations at the school production, rather than having a set ticket price. The appeal is still open, so please pass this on if you know of anyone who has not yet contributed but would like to do so. This week we gathered for our usual Founder’s Day Meeting and I hope it will be the last one where we are looking at flaking paint! The school celebrated its 230 years on Sunday 18th October and the walks took place on Thursday 22nd - as usual we returned to bangers and mash. We are now enjoying half term and recovering! 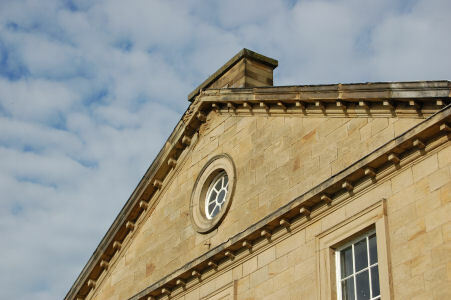 "Silence is to the soul what food and drink are to the body - nourishment and sustenance"
Silence and periods of quiet have always been an integral part of our day at Ackworth. As an Old Scholar you will have spent many hours of reflection in the Meeting House. We hope this experience helped as you moved through school and also in life since leaving Ackworth. The Meeting House was opened in 1847 and now, 160 years later, is in need of some significant work to repair the roof. This is beyond the usual maintenance work of the school and we are seeking funding from a variety of sources - so, we need your help and support. If every member of AOSA were to give £10 we could make a good start to this work. If every member of AOSA were to raise £100, then the roof work would be almost complete - perhaps you could raise this by encouraging Ackworth Old Scholars who are not members of the Association or who are not in touch with school to contribute. The Meeting House has a variety of uses other than Meeting for Worship, but this key function is highlighted in the following extract from the address of the president of the AOSA (Henry Ecroyd Clark - scholar 1846-50) to the Annual Meeting, June 1898. "Think for a moment of this meeting House being open and in use for fifty years - week after week, Sunday after Sunday, three hundred children, more or less have taken their places here. Who can measure the good from these gatherings? Boys and girls come and go, but the School has gone on, and will go on doing its beneficent work for the children yet unborn. Yes, children come, enter the School, take their places in this Meeting House, and then almost silently pass away out into the world. My prayer to God is that he will bless you in your gathering and the noble institution you represent. More than a century later the sentiment still applies. Thousands of children have now come, taken their places in the Meeting House and passed out into the world, taking with them a multitude of fond memories of Ackworth. You are those children and we now ask for your help to ensure the Meeting House remains in good repair for the generations to come. Perhaps as well as "keep bright the chain" we could urge you to "keep sound the roof"! Thank you for taking time to read this letter and for any contribution you make. 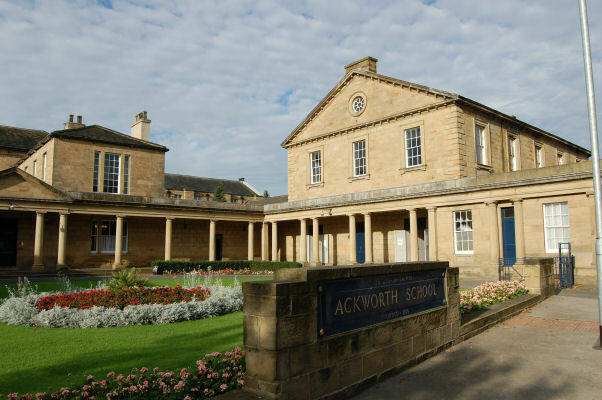 Note: To make a donation please contact the school about the Ackworth School 1950 Trust. Lorna has asked me to say the funds raised so far total £13,000. The goal the school as in mind is a target of £250,000. The school would like to thank all old Scholars for their kind donations. 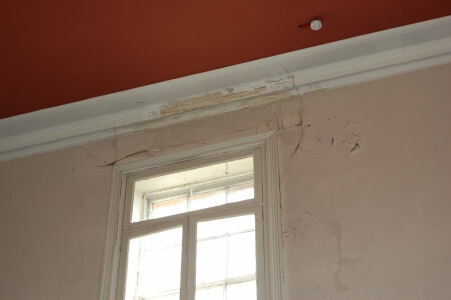 They will be continuing with fund raising events throughout 2009 and will keep the association informed of progress made with the repairs.